Quickspin is a Swedish game studio which develops innovative video pokies for the online gambling market. The team has many years of experience and a burning passion for gaming. The Quickspin headquarters is located in Stockholm, Sweden in the city centre. Quickspin promises to deliver only top quality games that are worth playing and bringing fun and entertainment to all players. Quickspin earned the Rising Star and Game of the Year (Big Bad Wolf) honours at the 2013 EGR B2B Awards. They were also awarded for the best Mobile Gaming Software and Social Gaming Supplier in 2014. Quickspin caught the eye of an industry leader, Playtech. In 2016, Playtech acquired Quickspin as a subsidiary for €50 million. Quickspin works as an independent subsidiary of Playtech, they can utilize Playtech’s vast amount of resources while maintaining their own ‘small company’ approach to quality games. Quickspin received its first multi year license agreement with social gaming operator Plumbee in March of 2012, and then later that year added Betsson Group, Betclic, Expekt and Unibet. In 2014 the Swedish game developer finalized a deal with Coral and has since wrapped up partnerships with William Hill. Daniel Lindberg – has an extensive track record in the online gambling industry as Sales Director and Head of Product Management – Games at Stockholm based NetEntertainment. Daniel has a background from the telecom industry having for companies such as TDC Song and NETnet. Net Entertainment for 5 years, and has worked as a Producer at EA, UDS and Nokia. Joachim Timmermans – an experienced product driven executive in the online gambling industry. A former member of the Executive Management team of Unibet Group Plc., he is a well-respected leading figure in the online casino market. Quickspin aims to create hi-tech online video pokies for everyone to enjoy. In the company’s own words: “to create the world’s most awesome slots”! The titles attempt to target different segments in the gaming market catering to different tastes. 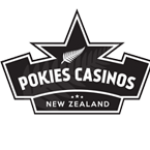 The Quickspin pokies are so popular they have over half a million fans. Quickspin games feature exciting bonus rounds, free spins, multipliers and variations of wild symbols. The bet values and autoplay are easy to adjust which makes the games suitable for beginners and experienced players. Their games have been inspired by popular European folk themes such as Big Bad Wolf, Goldilocks, Rapunzel’s Tower, and Wild Bears. an Old English poem Beowulf, and The Three Musketeers by Alexandre Dumas. The games have eye-catching 3D graphics with attention to detail, stunning animation, rich handcrafted illustrations and awesome digital soundtracks. Quickspin does not offer Progressive Jackpots due to the belief that large jackpots offer an underestimated percentage of payments. Quickspin excels when delivering entertaining game play and design. Most of the games can be played on mobile devices with the same top-quality visual gameplay across multiple platforms such as Android, iPhone, iPad.